Amanda and Alex chose dishes that were close to their heart for the big day. This included their favorite race day drink, the Keeneland Breeze, as well as classic Kentucky dishes, Hot Browns and BBQ Shrimp Martinis, turned miniature for cocktail hour. The couple even offered jockey silk cookies and bourbon balls as favors so guests could take a bite of southern flavor home with them. Amanda: Sitting in the grandstand with Alex during the reception for a few minutes while our photographers took pictures. We were able to take in the beautiful scenery of and had time to relax and reflect on the whole day and the new journey we were beginning! Alex: The anticipation as I waited to see Amanda for the first time. Hearing her voice at first, then wondering how beautiful she looked, and then finally getting to see her. Amanda: Always focus on the big picture. You get to marry the love of your life and THAT'S the most important part! Alex: Take a moment to make mental memories of what's going on and the people who are there to celebrate with you. Amanda: There isn't anything we would change. 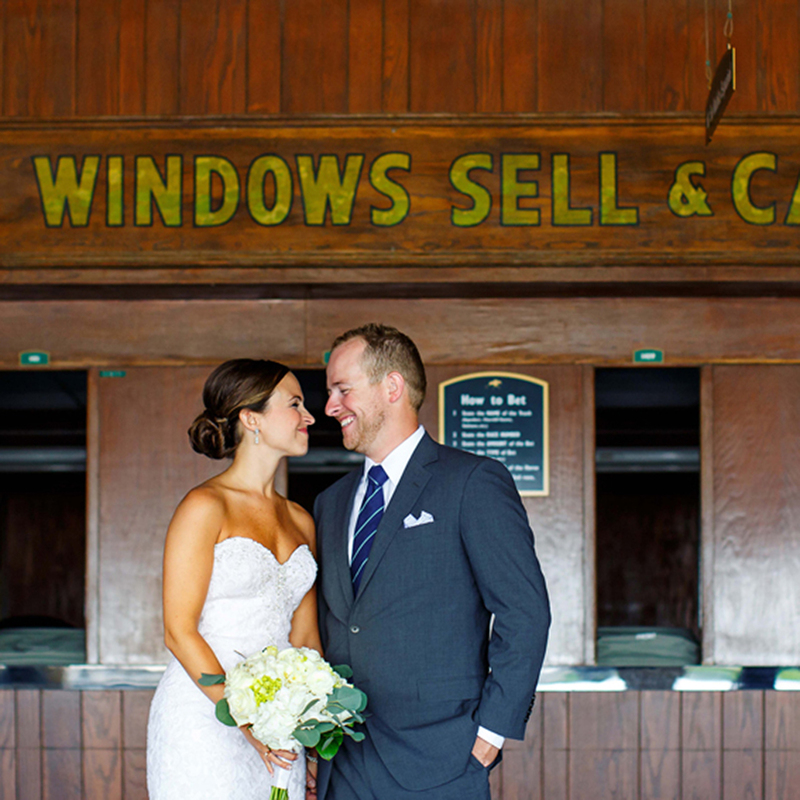 Our Keeneland wedding was perfect and we are SO thankful to everyone involved! We loved every minute. Keeneland made it so easy and I didn't have to worry about a thing. Any little last minute things were taken care of for me so I could enjoy the day at the same time. I wouldn't have traded any of it.